← Marketing Tip 20: If you have a website. Don’t fill your pages with text only. Mix it up a little. Marketing Tip 21: If you have a website. 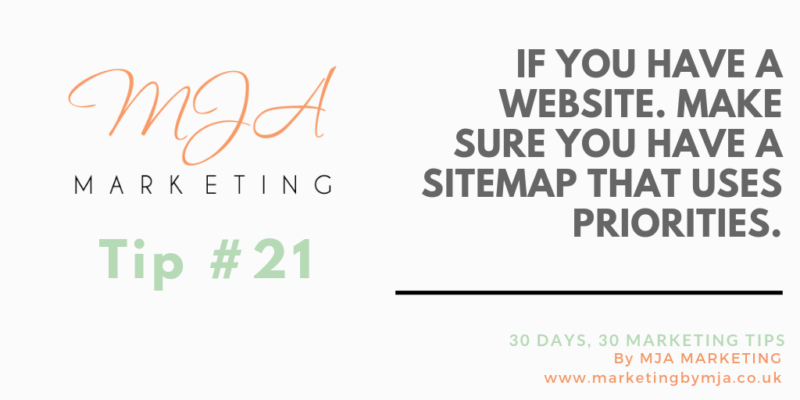 Make sure you have a sitemap that uses priorities.